The Best Sewing blogs from thousands of top Sewing blogs in our index using search and social metrics. Data will be refreshed once a week. Also check out Sewing Podcasts & Sewing Youtube Channels list for Top videos on Sewing. 2.24 Did You Make That? 2.85 Nice dress! Thanks, I made it!! Sewing newsletter is a comprehensive summary of the day's most important blog posts and news articles from the best Sewing websites on the web, and delivered to your email inbox each morning. To subscribe, simply provide us with your email address. Facebook fans 222,983. Twitter followers 6,120. Golden, Colorado About Blog Welcome to Sew News, a community for sewing enthusiasts and the online home to Sew News magazine. Sew News is the go-to guide for the most current and relevant information that the sewing world has to offer. Come see us for fresh interpretations of timeless techniques, exciting projects and fabulous new products. Facebook fans 117,005. Twitter followers 5,011. Central Region, Singapore About Blog Sewing blogger at So Sew Easy. All about sewing & free patterns for the new sewer. Follow my sewing adventures, laugh at my failures and learn along with me. Facebook fans 91,549. Twitter followers 7,247. About Blog he mission is to inspire others to think outside of the box with projects that keep the 3 R’s in mind: Reduce, Reclaim & Recraft! Offering easy “how to’s” patterns and craft inspiration. Facebook fans 92,460. Twitter followers 2,789. San Francisco, CA About Blog This is a community specifically for sewing including, but not limited to: machine sewing, embroidery, quilting, hand sewing, tapestry, patchwork, and help/suggestions threads. Facebook fans 996,146. Twitter followers 426,739. About Blog Childrens Boutique Sewing Patterns for the at-home seamstress and small business owner. Facebook fans 66,361. Twitter followers 2,997. About Blog Sew Mama Sew is a blog and sewing community founded in 2005. We collaborate with outstanding bloggers, designers and authors to deliver unique, high-quality sewing content on a daily basis. Facebook fans 124,427. Twitter followers 23,710. About Blog A Sewing Blog by Melissa Mora. This blog is an ever-growing collection of teachings through projects, patterns, sharing and inspiration to get the things you want to make out of your head and into closets and homes. Facebook fans 29,376. Twitter followers 1,244. About Blog Dedicated to sharing the absolute BEST Sewing, Craft and Home Projects from around the web! Facebook fans 23,530. Twitter followers 1,609. About Blog BERNINA USA’s blog, WeAllSew, offers fun project ideas, patterns, video tutorials and sewing tips for sewers and crafters of all ages and skill levels. Facebook fans 129,505. Twitter followers n/a. About Blog The Oliver S blog provides tips, tutorials, and inspiration to make sewing with Oliver S patterns more pleasurable and rewarding. Facebook fans 18,339. Twitter followers 7,839. About Blog Blog on Sewing, crafts, tutorials, DIY - My name is Kate, a twenty something fashion lover and mother of two. When I’m not chasing kids you can find me at my sewing table or daydreaming up new designs. I learned to sew on my mom’s old Kenmore machine before studying clothing design in college. Since then my focus shifts back and forth between sewing for me and sewing children’s clothing. Facebook fans 39,821. Twitter followers 3,737. About Blog Nancy Zieman is host and executive producer of Sewing With Nancy and founder of Nancy’s Notions, a direct mail business. She’s an author and a designer for The McCall Pattern Company and Clover Needlecraft. Facebook fans 92,315. Twitter followers 3,023. About Blog A modern sewing blog featuring sewing patterns, tutorials, personal sewing projects, patternmaking and a love for the craft. By Heather Lou. Facebook fans 2,572. Twitter followers 2,060. About Blog Sewing blog by Sara Lawson. I am obsessed with all things sewing: bags, quilts, clothes, accessories! Check out my blog for free bag sewing patterns,pattern reviews,and other fun projects! Facebook fans 106,644. Twitter followers 3,990. About Blog Anna Graham's Sewing Blog. Noodlehead is my blog inspired by my children. I love creating for them and sewing was the perfect medium of creativity and usefulness. Thanks for stopping by! Facebook fans 9,936. Twitter followers n/a. About Blog “Trending Expert” Mimi Goodwin is the creator of the outrageously popular Fashion, Lifestyle, and DIY blog, MimiGStyle.com, as well as the MimiGStyle youtube channel, which houses DIY projects, health and fitness tips, product reviews, highlights from her annual “Sewing, Fashion and Style” conference, and your everyday family shananagans. Facebook fans 603,528. Twitter followers 8,494. About Blog The Cottage Mama is dedicated to inspiring the creative and handmade lifestyle. The Cottage Mama blog is where Lindsay (owner / designer) shares her love of cooking, sewing, crafting and all things domestic. And through The Cottage Mama shop where she sells original sewing patterns as well as handmade, quality, unique, one-of-a-kind children's apparel. Facebook fans 25,877. Twitter followers 1,021. 24. Did You Make That? About Blog Follow the McCall Pattern Company blog for pattern news, sewing tips and tutorials, behind-the-scenes looks at how we make our patterns, sewalongs, and much more. Facebook fans 77,701. Twitter followers 4,509. About Blog Welcome to Mood Fabrics Sewciety Blog. If it’s fabric, it must be Mood Fabrics. We have the widest selection of fashion and home fabrics online. Facebook fans 52,802. Twitter followers 17,566. LaVergne, TN About Blog HUSQVARNA VIKING delivers innovative sewing machines and complementary products designed by sewers for sewers. The brand vision is to spread the joy of sewing throughout the world. Facebook fans 75,859. Twitter followers 2,315. About Blog Welcome to Grainline Studio! We create sewing patterns that are stylish, modern, fashion forward, beautifully drafted and easy to follow. All patterns include detailed illustrated sewing instructions as well as the pattern in a range of sizes to help you along the way. Facebook fans 5,558. Twitter followers 3,925. About Blog Hi there, I’m Allison! I started this blog in 2007 as a way to keep record of the things I was making. I also started quilting around that time, so this blog has followed my journey from a brand new quilter, to a quilter that sort of knows what she’s doing. Sort of. Blogging is my first love, but I also write and publish quilt patterns, author and contribute to quilting books and magazines. Facebook fans 10,858. Twitter followers 833. About Blog An online sewing community, uniting sewers! Search 1000's of sewing patterns, read pattern reviews, be social and get inspired! Come join the fun! Facebook fans 7,904. Twitter followers 4,686. About Blog Helen Wilkinson and Caroline Somos host Love to Sew, a fun weekly podcast about making clothes, sewing community, and small business. They talk about their passion for sewing a handmade wardrobe and their daily lives as creative entrepreneurs. Listen to interviews with indie business owners and inspiring sewists who totally understand your obsession with sewing. Facebook fans 955. Twitter followers 179. About Blog I'm a vintage blogger and crafty gal from Chicago. I have a love affair with all things vintage. Especially clothing, knitting, sewing and embroidery patterns, cookbooks, furniture, housewares and kitsch. Facebook fans 2,692. Twitter followers 1,536. About Blog Sewing blog featuring free sewing patterns, sewing projects and tutorials teaching beginners and enthusiasts how to sew. Great instructions and photos! Facebook fans 1,398. Twitter followers 611. About Blog Creative experiments for the novice designer. Run by Remona Gopaul. Follow me as I escape into this creative world of fabrics, patterns and sewing ,far away from graphs and formulas at my day job as a Research Scientist. Facebook fans 9,717. Twitter followers 483. Facebook fans 1,743. Twitter followers 3,191. About Blog Mom of two, wife of one, style, sewing and refashion blogger. Also, I really, really like chocolate. Facebook fans 9,013. Twitter followers 2,008. About Blog Abby Glassenberg designs sewing patterns for charming, unique stuffed animals and writes about the sewing industry and running a small business. Facebook fans 4,304. Twitter followers 3,510. About Blog Sew in Love is for creatives who love sewing for fashion, home and the family. This blog is dedicated to enjoying a creative and chic life full of handmade love. Find free sewing patterns, tutorials and tons of inspiration at Sew in Love! Facebook fans 6,385. Twitter followers 614. About Blog Hi, I’m Rob Appell, host of Man Sewing. I’m passionate about sewing and creativity and have a desire to teach, so I want to share my passion with you. Is Man Sewing just for men? Absolutely not. I’m just a man who sews. Join me every Monday for a new tutorial where we’ll use our hands, get covered in thread and create something completely new. Facebook fans 20,067. Twitter followers 416. About Blog I love to take a step back from the craziness of everyday life as a mom of five to create and share what I learn along the way. About Blog Style Sew Me is a style and DIY blog featuring everyday style, sewing pattern reviews, sewing tutorials and easy to follow sewing tutorials for stylish clothing. Facebook fans 2,930. Twitter followers 257. About Blog After spending way too much money on clothes, I gave up buying clothes for a year and sewed instead. Join me on my journey of sewing more and shopping less! Facebook fans 10,726. Twitter followers 454. About Blog Whipstitch was created by Deborah Moebes as a place to share sewing inspiration and skill with a modern twist. Through her blog, books, patterns, online sewing classes and live workshops & events, Deborah is building a sewing community for those who seek out great style, beautiful fabrics, and an inspiring influence to build homes and families we love to live in. Facebook fans 3,671. Twitter followers 5,456. About Blog What's new in store, fashion trends, pattern reviews, Tessuti creations, sewing tips and techniques. Facebook fans 18,878. Twitter followers 1,096. About Blog I'm Marcy Harriell, actress, but my alter ego Oonaballoona is a sewist. Catch both of their adventures by following my blog. Facebook fans 2,106. Twitter followers 2,891. Waco, TX About Blog A sewing blog for lovers of floral fabrics, vintage buttons, and awesome things. Facebook fans 845. Twitter followers 914. NorCal About Blog I'm a retro dressmaker who lives on a Northern California cattle ranch. I love to sew with retro inspired and vintage patterns and add modern twists to my garments as well as incorporate heirloom and couture sewing techniques. Facebook fans 612. Twitter followers 234. Houston, TX About Blog ASG is a membership organization that welcomes sewing enthusiasts of all skill levels and from many different walks of life. Chapters are located in cities all across the country and members meet monthly to learn new sewing skills, network with others who share an interest in sewing and participate in community service sewing projects. Facebook fans 11,356. Twitter followers 1,100. About Blog Sewing classes, fabrics, and BERNINA machines in Portland Oregon. Facebook fans 5,519. Twitter followers 788. Boring, Oregon About Blog Sewing and craft tutorials for the do-it-yourselfer and shop custom handmade accessories for creative people. Facebook fans 1,279. Twitter followers 348. Australia About Blog Lauren van der Mast is a Fitness, Health and Fashion blogger from NSW Australia. A successful Athlete, Author, and Health and Performance Coach, Lauren shifted her focus to working online as a result of wanting to merge her passion for fashion, design and sewing with her brand and to focus on sharing her love of natural health, training and #fashionthatfits. North Carolina About Blog Designing. teaching. blogging. Facebook fans 1,185. Twitter followers 332. About Blog Hello. I'm Ruth. Full time teacher, mother and wife. I started sewing a few years ago because I couldn't find what I wanted to wear in the shops and I've been sewing for myself ever since. About Blog Sewing From Home was launched in 2016 to provide comprehensive and personal reviews of the best sewing machines on the market. Must-read reviews of the best sewing machines, plus revealing tips for embroidery and quilting, as well as news and features on all things sewing from home. Facebook fans 633. Twitter followers 160. US About Blog That Black Chic is a Sewing, craft and DIY blog. On the blog, Michelle shares different sewing tips and showcases her sewing artworks. Facebook fans 3,916. Twitter followers 108. London About Blog Sewing is my superpower and I'm using it for good! It helps me curb my fashion consumption whilst still having a stylish wardrobe. It enables me to teach others to be creative and sew their own clothes too. It connects me to the most amazing community on the internet: the online sewing community. Join me in 'sewing for good' to cut, stitch, refashion, make, learn, teach, ditch fast-fashion. Facebook fans 232. Twitter followers 2,288. London About Blog My blog is all about my sewing successes and failures, discovering lovely new fabrics and construction techniques! Follow me here for news updates and new blog posts about my most recent makes. Facebook fans 313. Twitter followers 1,387. About Blog Editor of Love Sewing magazine. Obsessed with all things sewing plus fluffy cats and gin cocktails! Here you can you can find all about my sewing adventures. Facebook fans n/a. Twitter followers 3,319. About Blog Helping you discover your love of sewing at SewingReport.com through articles, videos, and tutorials. Facebook fans 304. Twitter followers 157. 85. Nice dress! Thanks, I made it!! About Blog A knitting, sewing , refashioning , thrifting, general craftiness blog! Facebook fans 177. Twitter followers 279. About Blog ewingChanel Community is an informative and non-profit blog and website. We are sharing knowledge and reviews about the world of handmade diy couture; focused on the Chanel-style classic outfits. About Blog Deepika Prakash, started PatternReview.com in 2001 as a place for sewers to meet and discuss their sewing projects. Over the last 10 years the site has evolved into a global community with 380,000 members in over 20 countries. Facebook fans 18,174. Twitter followers 5,155. United Kingdom About Blog Join Colleen G Lea as she presents totally free sewing videos, how to demonstrations and practical, no nonsense sewing guidance, all aimed to help you become a better more rounded fashion sewer and make those sewing projects a big success. Facebook fans 2,673. Twitter followers 1,514. About Blog A self-described geek and armchair engineer, Joan loves creating new twists and techniques for sewing and quilting. Joan is a renowned author, teacher and popular blogger. In addition to her successful pattern line, she designs notions for Clover Needlecraft and developed her Sew Lazy line of interfacing. Facebook fans 26,967. Twitter followers 331. Facebook fans 677. Twitter followers 617. About Blog Sewing Basics Beginners. Providing projects, tutorials and How-to's for the beginner seamstress. Also featuring fabric art hand made in Colorado. About - SewCanShe is a sewing tips and tutorials website written and edited by Caroline Fairbanks-Critchfield and her sister Beka. About - We want to help maintain the rich tradition of sewing by inspiring and teaching modern women. Designer and founder Sarai Mitnick dreamed of sewing patterns that she would want to make over and over, so she turned that dream into Colette Patterns. She loves unusual and subtle touches in clothing, learning old-fashioned techniques, and experimenting with fabric. About - Hi! I'm Rae and I love to sew. I used to be a physics teacher, but now I sew, blog and make sewing patterns. About - BERNINA USA blog, WeAllSew, offers fun project ideas, patterns, video tutorials and sewing tips for sewers and crafters of all ages and skill levels. About- Each issue is packed with tips, tricks and clever ideas to keep you inspired month after month. Every issue includes free sewing patterns, the best tutorials from industry experts plus exciting projects and inspiring articles. Whether you’re making unique garments, chic homeware and accessories, or fun embroidery projects, Love Sewing is the perfect addition to your sewing room. About - Sew Different is dedicated to home sewing and homemade fashion. Packed full of inspiration, tips, tutorials and free sewing patterns. About - Hi, I'm Lauren and welcome to g&g! I love sewing so much I opened my own shop and creative studio so I can share my passion with others. About- Sew Essential was established in 2004 to provide a wide range of products to the sewing enthusiast. Our mission is to provide our customers with the widest possible range of sewing products at the best prices with great customer service. About -Helen's Closet is a sewing blog for modern makers! My name is Helen and I run this blog from my home in Vancouver, BC, Canada. I love making my own clothes and socializing with the indie sewing community. Check back every week for a new garment post and the Wednesday Weekly, an indie sewing newsletter. You can check out my PDF sewing patterns, too! About - My name is Reece and I started this blog to chronicle my adventures in sewing and my love for fabric. I really enjoy making handbags and purses. I also really love helping others find just the right pattern or fabric for their projects. From time to time, I'll also post non-fabric stuff, just because, but usually because I think it's really awesome and worth sharing. I love doing sew alongs and offering tutorials. About - I'm Erin- a 25 year old from Canada who loves all things creative- especially sewing! I made this blog to record all the fun and creative things I get up to! I'm looking be inspired and hopefully inspire other people in return! So please, if you like, follow me in my creative journey! About - Established over twenty years ago, Tessuti Fabrics is now recognised as one of Australia’s leading retailers of quality and designer fabrics. With two retail stores in Sydney, one in Melbourne and an online shop, Tessuti has become the destination for dressmakers, fashion students and all lovers of sewing. About - Thoughts on sewing, knitting, and looking my best. live in Perth, Western Australia, and I make all my own clothes. Sometimes I make things for unsuspecting family members too. About - Hello and welcome! I’m Liz Haywood. I trained as a clothing pattern maker here in Australia and worked in the fashion industry for twenty years, mainly ladies wear. I was fortunate to work at many interesting places with talented, inspiring people. Now I live in the country with my young family, where I’m re-discovering sewing for pleasure. About - Sew Busy Lizzy is a sewing blogger who sews by the seashore in Australia. About - Welcome to the cloud Factory, if you love Indian fashion style as much as me, let me show you how to make your own garments, accessories, crafts and many things more. 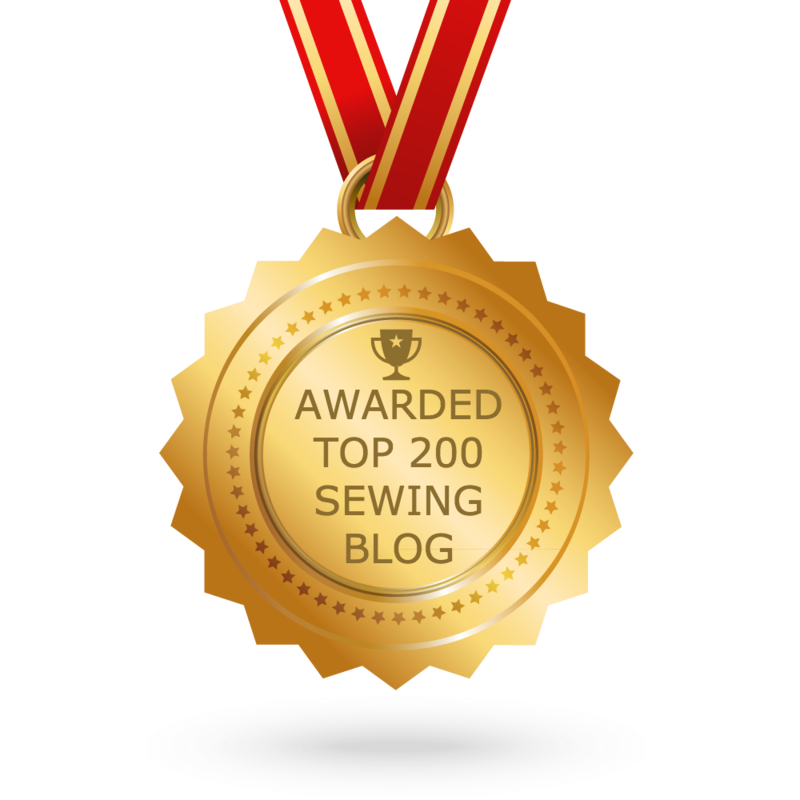 CONGRATULATIONS to every blogger that has made this Top Sewing blogs list! This is the most comprehensive list of Top Sewing blogs on the internet and I’m honoured to have you as part of this! I personally give you a high-five and want to thank you for your contribution to this world.